Since our earliest days, Alpha Phi Delta Brothers have always celebrated with music. Listen to the recordings of some of our earliest as recorded by Vito DiSalvo, Psi '70 and the Pittsburgh Alumni Club singers. In conjunction with the Centennial, Brother Vito DiSalvo has composed a special tribute. Click below to listen to our newest official fraternity song, Centennial Hymn: One Hundred Years for Alpha Phi Delta. Centennial Hymn: One Hundred Years For Alpha Phi Delta - Composed in 2011 by Vito DeSalvo, Psi '70. Alpha Phi Delta March - By E. Sansone-Ravina, Mother of Renato Sansone, Eta '28. Fraternity Sweetheart - By Joseph R. La Porta, Eta '44. Oh, Alpha Phi Delta - By Thomas A. Anzalone, Eta & Peter Sammartino, Eta '24. Our Fraternity - By Joseph R. La Porta, Eta '44. 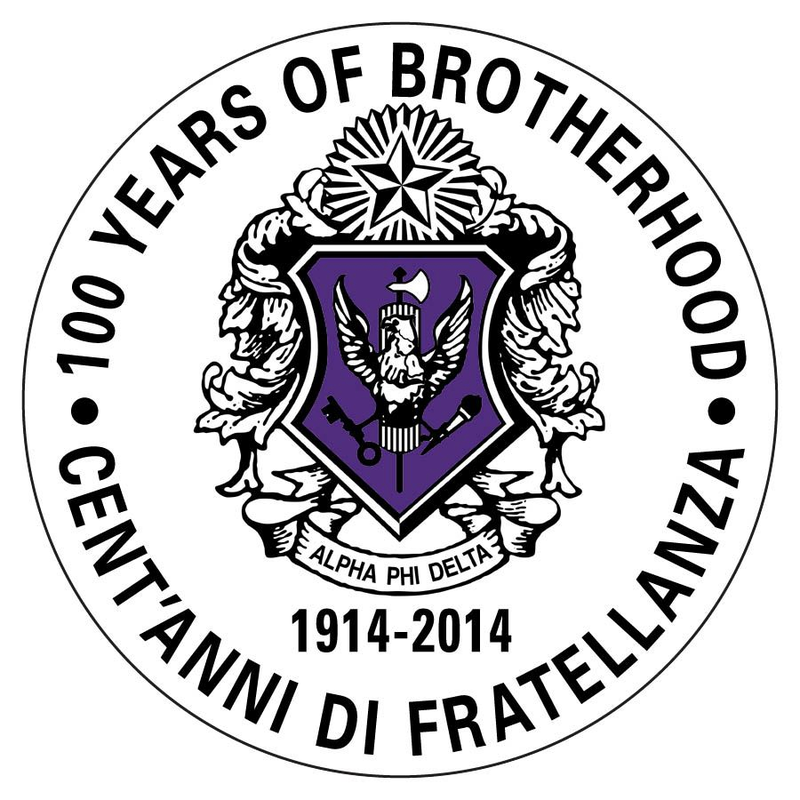 What We Do Goes Down In History - By Francis M. Travaline, Jr., Lambda '22. Alpha Phi Delta Rose - By Gabriel Jacoby, Phi '34. Alpha Phi Delta Sweetheart Of Mine - By Francis M. Travaline, Jr., Lambda '22. Alpha Phi Delta Girl - By Maurice Montaperto, Eta '31. Our Frat - To the tune of "Funiculi Funicula, by Samuel J. Petronella, Theta '27 & Anthony Terranova, Theta '27. The Merry Go Round - To the tune of "La Spagnola" by Joseph Aieta, Upslion '28. Always True - By Manilio Servino, Beta '24, and Henry Maccaro, Beta '28. Hot Times - To the tune of "There'll Be a Hot Time in the Old Town Tonight", by Joseph Aieta, Upslion '28. Alpha Phi Delta Sweetheart Of Mine [Parody] - By Francis M. Travaline, Jr., Lambda '22. The Toast - To the tune of "A Frangesa", by Thomas A. Anzalone, Eta. The Merrie Men - To the tune of "Hinky Dinky Parlez Vouz", by Thomas A. Anzalone, Eta. Keith Bernard recorded these two articles from our founding fathers, published in the December 1929 edition of the Magazine of Alpha Phi Delta, the predecessor of the Kleos. 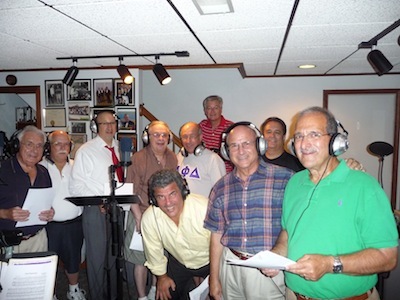 Pittsburgh Alumni Club singers during one of many recording sessions.